Let’s be honest: No one can memorize all the vocabulary you might encounter on the GRE. There are lists of words everywhere, so much so that it’s become a cliché, “SAT words.” Most of the lists of “GRE words” are just “SAT words” on steroids, and prep books frequently instruct students to keep a vocabulary diary, make flash cards, or do a lot of reading to expand your working vocabulary and familiarity with the scholarly or academic jargon and style of the GRE. All that is great advice! By all means, read more and keep track of words you learn. It will serve you well on the GRE, in grad school, and in life in general. Fortunately for those of us who struggle with difficult vocabulary, the GRE has become less vocabulary intensive than it used to be. When I first started teaching GRE preparation, the test included Antonyms and Analogies problems, both of which were pretty much make-or-break vocab questions. If you didn’t know the definition of the words, you could employ some ingenious strategies and logical deduction to improve your odds of getting the answers right, but you could never really be sure. While the test now includes fewer problems that are outright vocabulary questions, Sentence Completion and Sentence Equivalence problems still require a strong working vocabulary. So does Reading Comprehension but in more of a passive sense. A great knowledge of the definitions of difficult words still helps a lot, but let’s discuss what to do when you’re stuck on unfamiliar language. Let’s take a look at a hypothetical sentence completion problem. Read over the stimulus to get an idea what’s going on. Remember that each blank will have independent evidence in the passage to support its meaning. Pick the one you want to begin with. Let’s just do these in order. By all appearances, blank (i) looks like a good place to start. In context, what does the blank mean? Well, we have to be “completely” something. Completely what? Let’s take a look. There’s an issue: we don’t know what “accede” means. Here’s our first vocabulary difficulty. Should we freeze up? No way. Let’s use context clues to break this situation down. So we have to say that ceviche is uncooked because it doesn’t fit the definition of cooking. Well I guess we would have to be completely honest! There’s your word that describes the meaning of blank (i). Compare your word to the options. “accurate” — I know that one! Does it match “honest”? Absolutely! What do we pick? In this case we have a perfect match with (B) so pick it. Don’t get hung up on unknown words if you have a perfect match! Maybe we find blank (ii) intimidating. Let’s skip ahead to blank (iii). Okay, so “it would be a mistake to conclude that just because ceviche is not cooked, it must be raw.” The acid does something to the dish. What does it do? It produces heat and alters the chemical nature of the seafood. So what is this something? This time I think we’re clearer on the vocabulary. It changes the dish. Getting our meaning was reasonably straightforward this time. Let’s see whether we can match. “infuses” — Man, I could swear I’ve heard that word before. Maybe something to do with cooking. Like I guess if I’m marinating a steak or something. I guess this might go along with “changes,” but I’m not sure. “cures” — This means to make someone better, but you know, I’m not really sure. I’m pretty sure the GRE expects me to think “cures” means makes someone better, so maybe that’s a little too obvious of not being a match? Here’s where the rubber hits the road. Could you maybe pick (A)? Perhaps, but you know that “infuses” seems like the best possibility here. Why does it seem that way? Because ETS wants to make it appear that way. They know you might not be totally up to speed on the meaning of this word but they’re hoping that you just say “Close enough!” and pick it. Look, “close enough” isn’t good enough! This is a maybe answer, but not quite. Classic trap. That leaves you with (C). Okay, you’re uncomfortable. Does “cures” mean “changes”? This is an area where you have to get out of your comfort zone. The comfortable answer on these difficult questions will often be incorrect. (C) is the correct choice. Coming back to blank (ii), we now have to describe what this acidic marinade is. Well, it’s some kind of “marinade” made up of “vinegar or citrus juices.” What else do we know about it? “convolution” — I’m not quite sure about this word, but maybe some word association will help. “convolution”…”convoluted” doesn’t that mean complex or messed up or something? Don’t think it’s a match. “medium” — There’s that familiar word that might be a little too obviously wrong. “Medium” is usually an adjective, but we know here from the parts of speech that it must be a noun. What does “medium” mean as a noun? Don’t know. Not ruling it out. Just a question mark here. “secretion” — Okay I’m kinda familiar with this. It has something to do with like a gland or something. Like ooze or whatever. Do I want to marinate my fish in ooze? I’m guessing not. We don’t really know about (B) here but I’m pretty sure it’s neither (A) nor (C). Gotta go with it. (B) is right after all! THREE FOR THREE WITHOUT MUCH VOCABULARY! What I’ve illustrated here is a kind of worst-case-scenario. Lots of difficult vocabulary both in the stimulus sentence and answer choices. No one wants to be in this position, but the lesson here is that there are tools at our disposal. We can strategically engage with the sentence, the blank, and the answer choices to focus on which answer choice is likely the best match for the meaning of the blank. There’s no substitute for a strong vocabulary, but even with a strong vocabulary you need to be precise and strategic. Remember Top Gun? ETS is Iceman: ice-cold, no mistakes. The GRE wears you down. You get bored, do something stupid, and ETS has got you! Stay focused. Be tactical and smart. Do all the good vocabulary-building advice enumerated at the top of this post, but remember, you’re never out of luck. You can give yourself an odds-on chance of getting even the most difficult problems right if you’re strategic about them. 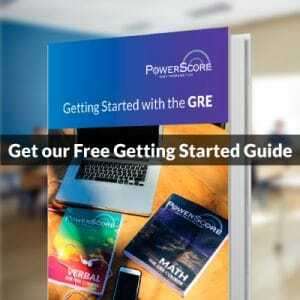 For further answers to Sentence Completion problems and all your other GRE questions, give our forum a visit: PowerScore GRE Forum. You can search for solutions there, and if you have additional questions, please create an account and post. 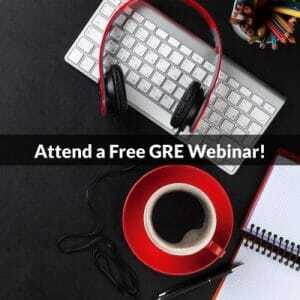 A PowerScore instructor will personally answer any of your GRE questions.